Calibration of realistic stock and interest rate models is of prime importance. 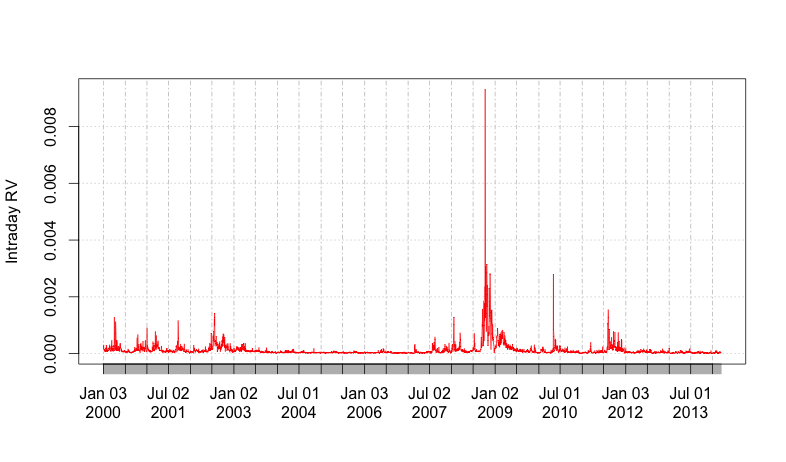 While standard Libor interest rate products such as caps and swaptions can be priced (quasi-) analytically in a simple Libor market model, it is impossible to match cap and swaption volatility smiles and skews observed in the markets using this model. Moreover, after the financial crisis the Libor rate could not be considered risk free anymore. As a consequence, multi-curve Libor models, that are models that describe at the same time Libors over different forward periods, are called for. Needless to say that the effective calibration and the evaluation of related products in this respect is a challenge and of main importance for banks in order to price various interest rate derivatives in their trading books. Related calibration problems encounter in stock and stock index markets, were realistic modeling of implied volatility patterns across both time and maturity is still a difficult issue. As a matter of fact, standard stock models based on stochastic volatility, like the Heston model, are known to be unsuitable in this regard. The jump-diffusion and stochastic volatility Libor models developed in the preceding years, were adapted, extended, and casted into a multi-curve framework. The resulting multi-curve Libor models turned out to be well suited for calibration to a whole range of usual Libor options, such as Caps, Floors, und Swaptions. Moreover, by incorporating a displacement feature, the nowadays typical occurrence of negative rates can be matched with these models as well. For the calibration to certain liquid markets, for example the S&P 500 Index, a breakthrough was achieved by leaving the usual semi-martingale paradigm for modeling stochastic volatility. In fact, several data studies from time series and calibration reveal that the roughness of volatility is actually higher than feasible within the class of ordinary diffusion processes. D. Belomestny, J. Schoenmakers, Advanced Simulation-Based Methods for Optimal Stopping and Control: With Applications in Finance, Macmillan Publishers Ltd., London, 2018, 364 pages, (Monograph Published), DOI 10.1057/978-1-137-03351-2 . In this article we consider affine generalizations of the Merton jump diffusion model Merton (1976) and the respective pricing of European options. On the one hand, the Brownian motion part in the Merton model may be generalized to a log-Heston model, and on the other hand, the jump part may be generalized to an affine process with possibly state dependent jumps. While the characteristic function of the log-Heston component is known in closed form, the characteristic function of the second component may be unknown explicitly. For the latter component we propose an approximation procedure based on the method introduced in Belomestny, Kampen, Schoenmakers (2009). We conclude with some numerical examples. J.G.M. Schoenmakers, Robust Libor Modelling and Pricing of Derivative Products, Chapman & Hall CRC Press, 2005, 202 pages, (Monograph Published). V. Krätschmer, M. Ladkau, R.J.A. Laeven, J.G.M. Schoenmakers, M. Stadje, Optimal stopping under uncertainty in drift and jump intensity, Mathematics of Operations Research, (2018), published online on 09.08.2018, urlhttps://doi.org/101287/moor.2017.0899., DOI 10.1287/moor.2017.0899 . This paper studies the optimal stopping problem in the presence of model uncertainty (ambiguity). We develop a method to practically solve this problem in a general setting, allowing for general time-consistent ambiguity averse preferences and general payoff processes driven by jump-diffusions. Our method consists of three steps. First, we construct a suitable Doob martingale associated with the solution to the optimal stopping problem %represented by the Snell envelope using backward stochastic calculus. Second, we employ this martingale to construct an approximated upper bound to the solution using duality. Third, we introduce backward-forward simulation to obtain a genuine upper bound to the solution, which converges to the true solution asymptotically. We analyze the asymptotic behavior and convergence properties of our method. We illustrate the generality and applicability of our method and the potentially significant impact of ambiguity to optimal stopping in a few examples. Z. Grbac, A. Papapantoleon, J.G.M. Schoenmakers, D. Skovmand, Affine LIBOR models with multiple curves: Theory, examples and calibration, SIAM Journal on Financial Mathematics, ISSN 1945-497X, 6 (2015), pp. 984--1025. We introduce a multiple curve LIBOR framework that combines tractable dynamics and semi-analytic pricing formulas with positive interest rates and basis spreads. The dynamics of OIS and LIBOR rates are specified following the methodology of the affine LIBOR models and are driven by the wide and flexible class of affine processes. The affine property is preserved under forward measures, which allows to derive Fourier pricing formulas for caps, swaptions and basis swaptions. A model specification with dependent LIBOR rates is developed, that allows for an efficient and accurate calibration to a system of caplet prices. CH. Bayer, J. Gatheral, M. Karlsmark, Fast Ninomiya--Victoir calibration of the double-mean-reverting model, Quantitative Finance, 13 (2014), pp. 1813--1829. We develop a multi-factor stochastic volatility Libor model with displacement, where each individual forward Libor is driven by its own square-root stochastic volatility process. The main advantage of this approach is that, maturity-wise, each square-root process can be calibrated to the corresponding cap(let)vola-strike panel at the market. However, since even after freezing the Libors in the drift of this model, the Libor dynamics are not affine, new affine approximations have to be developed in order to obtain Fourier based (approximate) pricing procedures for caps and swaptions. As a result, we end up with a Libor modeling package that allows for efficient calibration to a complete system of cap/swaption market quotes that performs well even in crises times, where structural breaks in vola-strike-maturity panels are typically observed. In this paper we consider the valuation of Bermudan callable derivatives with multiple exercise rights. We present in this context a new primal-dual linear Monte Carlo algorithm that allows for efficient simulation of lower and upper price bounds without using nested simulations (hence the terminology). The algorithm is essentially an extension of a primal-dual Monte Carlo algorithm for standard Bermudan options proposed in Schoenmakers et al (2011), to the case of multiple exercise rights. In particular, the algorithm constructs upwardly a system of dual martingales to be plugged into the dual representation of Schoenmakers (2010). At each level the respective martingale is constructed via a backward regression procedure starting at the last exercise date. The thus constructed martingales are finally used to compute an upper price bound. At the same time, the algorithm also provides approximate continuation functions which may be used to construct a price lower bound. The algorithm is applied to the pricing of flexible caps in a Hull White (1990) model setup. The simple model choice allows for comparison of the computed price bounds with the exact price which is obtained by means of a trinomial tree implementation. As a result, we obtain tight price bounds for the considered application. Moreover, the algorithm is generically designed for multi-dimensional problems and is tractable to implement. A. Papapantoleon, J.G.M. Schoenmakers, D. Skovmand, Efficient and accurate log-Lévy approximations to Lévy driven LIBOR models, Journal of Computational Finance, 15 (2012), pp. 3--44. The LIBOR market model is very popular for pricing interest rate derivatives, but is known to have several pitfalls. In addition, if the model is driven by a jump process, then the complexity of the drift term is growing exponentially fast (as a function of the tenor length). In this work, we consider a Lévy-driven LIBOR model and aim at developing accurate and efficient log-Lévy approximations for the dynamics of the rates. The approximations are based on truncation of the drift term and Picard approximation of suitable processes. Numerical experiments for FRAs, caps and swaptions show that the approximations perform very well. In addition, we also consider the log-Lévy approximation of annuities, which offers good approximations for high volatility regimes. P. Friz, S. Gerhold, A. Gulisashvili, S. Sturm, On refined volatility smile expansion in the Heston model, Quantitative Finance, 11 (2011), pp. 1151--1164. D. Belomestny, J.G.M. Schoenmakers, A jump-diffusion Libor model and its robust calibration, Quantitative Finance, 11 (2011), pp. 529--546. We present two approximation methods for pricing of CMS spread options in Libor market models. Both approaches are based on approximating the underlying swap rates with lognormal processes under suitable measures. The first method is derived straightforwardly from the Libor market model. The second one uses a convexity adjustment technique under a linear swap model assumption. A numerical study demonstrates that both methods provide satisfactory approximations of spread option prices and can be used for calibration of a Libor market model to the CMS spread option market. P. Friz, S. Benaim, Regular variation and smile asymptotics, Mathematical Finance. An International Journal of Mathematics, Statistics and Financial Economics, 19 (2009), pp. 1--12. D. Belomestny, S. Mathew, J.G.M. Schoenmakers, Multiple stochastic volatility extension of the Libor market model and its implementation, Monte Carlo Methods and Applications, 15 (2009), pp. 285-310. 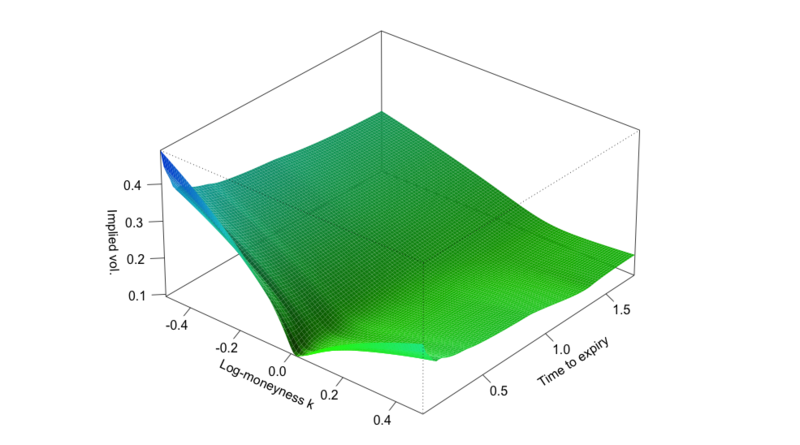 In this paper we propose a Libor model with a high-dimensional specially structured system of driving CIR volatility processes. A stable calibration procedure which takes into account a given local correlation structure is presented. The calibration algorithm is FFT based, so fast and easy to implement. R. Krämer, P. Mathé, Modulus of continuity of Nemytskiĭ operators with application to a problem of option pricing, Journal of Inverse and Ill-Posed Problems, 16 (2008), pp. 435--461. O. Reiss, J.G.M. Schoenmakers, M. Schweizer, From structural assumptions to a link between assets and interest rates, Journal of Economic Dynamics & Control, 31 (2007), pp. 593--612. We derive a link between assets and interest rates in a standard multi-asset diffusion economy from two structural assumptions ? one on the volatility and one on the short rate function. Our main result is economically intuitive and testable from data since it only involves empirically observable quantities. A preliminary study illustrates how this could be done. J.G.M. Schoenmakers, B. Coffey, Systematic generation of parametric correlation structures for the LIBOR market model, International Journal of Theoretical and Applied Finance, 6 (2003), pp. 507-519. We present a conceptual approach of deriving parsimonious correlation structures suitable for implementation in the LIBOR market model. 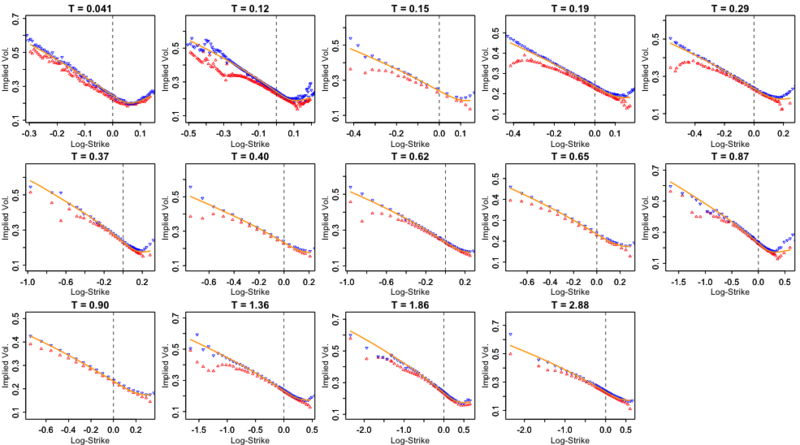 By imposing additional constraints on a known ratio correlation structure, motivated by economically sensible assumptions concerning forward LIBOR correlations, we yield a semi-parametric framework of non-degenerate correlation structures with realistic properties. Within this framework we derive systematically low parametric structures with, in principal, any desired number of parameters. As illustrated, such structures may be used for smoothing a matrix of historically estimated LIBOR return correlations. In combination with a suitably parametrized deterministic LIBOR volatility norm we so obtain a parsimonious multi-factor market model which allows for joint calibration to caps and swaptions. See Schoenmakers  for a stable full implied calibration procedure based on the correlation structures developed in this paper. J.G.M. Schoenmakers, SHOWCASE 17 -- Expiry-wise Heston LIBOR model, in: MATHEON -- Mathematics for Key Technologies, M. Grötschel, D. Hömberg, J. Sprekels, V. Mehrmann ET AL., eds., 1 of EMS Series in Industrial and Applied Mathematics, European Mathematical Society Publishing House, Zurich, 2014, pp. 314--315. P. Friz, M. Keller-Ressel, Moment explosions in financial models, in: Encyclopedia of Quantitative Finance, R. Cont, ed., Wiley, Chichester, 2010, pp. 1247--1253. P. Friz, Implied volatility: Large strike asymptotics, in: Encyclopedia of Quantitative Finance, R. Cont, ed., Wiley, Chichester, 2010, pp. 909--913. CH. Bayer, B. Stemper, Deep calibration of rough stochastic volatility models, Preprint no. 2547, WIAS, Berlin, 2018, DOI 10.20347/WIAS.PREPRINT.2547 . Sparked by Alòs, León und Vives (2007); Fukasawa (2011, 2017); Gatheral, Jaisson und Rosenbaum (2018), so-called rough stochastic volatility models such as the rough Bergomi model by Bayer, Friz und Gatheral (2016) constitute the latest evolution in option price modeling. Unlike standard bivariate diffusion models such as Heston (1993), these non-Markovian models with fractional volatility drivers allow to parsimoniously recover key stylized facts of market implied volatility surfaces such as the exploding power-law behaviour of the at-the-money volatility skew as time to maturity goes to zero. Standard model calibration routines rely on the repetitive evaluation of the map from model parameters to Black-Scholes implied volatility, rendering calibration of many (rough) stochastic volatility models prohibitively expensive since there the map can often only be approximated by costly Monte Carlo (MC) simulations (Bennedsen, Lunde & Pakkanen, 2017; McCrickerd & Pakkanen, 2018; Bayer et al., 2016; Horvath, Jacquier & Muguruza, 2017). As a remedy, we propose to combine a standard Levenberg-Marquardt calibration routine with neural network regression, replacing expensive MC simulations with cheap forward runs of a neural network trained to approximate the implied volatility map. Numerical experiments confirm the high accuracy and speed of our approach. M. Ladkau, A new multi-factor stochastic volatility model with displacement, First Berlin-Singapore Workshop on Quantitative Finance and Financial Risk, May 21 - 24, 2014, WIAS-Berlin und Humboldt-Universität zu Berlin, May 22, 2014. J.G.M. Schoenmakers, Affine LIBOR models with multiple curves: Theory, examples and calibration, 11th German Probability and Statistics Days 2014, March 5 - 7, 2014, Universität Ulm, March 6, 2014. M. Ladkau, A new multi-factor stochastic volatility model with displacement, PreMoLab Workshop on: Advances in predictive modeling and optimization, May 16 - 17, 2013, WIAS-Berlin, May 16, 2013. CH. Bayer, Asymptotics beats Monte Carlo: The case of correlated local volatility baskets, Stochastic Methods in Finance and Physics, July 15 - 19, 2013, University of Crete, Department of Applied Mathematics, Heraklion, Greece, July 19, 2013. CH. Bayer, Asymptotics can beat Monte Carlo, 20th Annual Global Derivatives & Risk Management, April 16 - 18, 2013, The International Centre for Business Information (ICBI), Amsterdam, Netherlands, April 18, 2013. M. Ladkau, A new multi-factor stochastic volatility model with displacement, International Workshop on Numerical Algorithms in Computational Finance, July 20 - 22, 2011, Goethe Universität Frankfurt, Goethe Center for Scientific Computing (G-CSC), July 21, 2011. P. Friz, On refined density and smile expansion in the Heston model, Workshop ``Stochastic Analysis in Finance and Insurance'', January 23 - 29, 2012, Mathematisches Forschungsinstitut Oberwolfach, January 29, 2012. J.G.M. Schoenmakers, Advanced Libor modeling, Postbank Bonn, February 25, 2010. J.G.M. Schoenmakers, Holomorphic transforms with application to affine processes, 5th General Conference in Advanced Mathematical Methods in Finance, May 4 - 8, 2010, University of Ljubljana, Faculty of Mathematics and Physics, Slovenia, May 6, 2010. P. Friz, From numerical aspects of stochastic financial models to the foundations of stochastic differential equations (and back), Annual Meeting of the Deutsche Mathematiker-Vereinigung and 17th Congress of the Österreichische Mathematische Gesellschaft, Section ``Financial and Actuarial Mathematics'', September 20 - 25, 2009, Technische Universität Graz, Austria, September 25, 2009. J.G.M. Schoenmakers, Statistical and numerical methods for evaluation for financial derivates and risk, Center Days 2009 (DFG Research Center scshape Matheon), March 30 - April 1, 2009, Technische Universität Berlin, March 31, 2009. P. Mathé, On non-stability of some inverse problem in option pricing, Workshop on Inverse and Partial Information Problems: Methodology and Applications, October 27 - 31, 2008, Austrian Academy of Sciences, Johann Radon Institute for Computational and Applied Mathematics (RICAM), Linz, October 30, 2008. J.G.M. Schoenmakers, Robust Libor modelling and calibration, International Multidisciplinary Workshop on Stochastic Modeling, June 25 - 29, 2007, Sevilla, Spain, June 29, 2007. J.G.M. Schoenmakers, A jump-diffusion Libor model and its robust calibration, 4th World Congress of the Bachelier Finance Society, August 17 - 20, 2006, National Center of Sciences, Hitotsubashi University, ICS, Tokyo, Japan, August 20, 2006. J.G.M. Schoenmakers, Interest rate modelling: Practical calibration and implementation techniques, June 15 - 16, 2006, Risk, London, UK. J.G.M. Schoenmakers, Interest rate modelling --- Practical calibration and implementation techniques, Incisive Media Events, Hong Kong, China, December 8, 2004. J.G.M. Schoenmakers, Robust calibration of LIBOR market models, Petit Dejeuner de la Finance, November 4 - 5, 2003, Paris, November 5, 2003. J.G.M. Schoenmakers, Accuracy and stability of LIBOR model calibration via parametric correlation structures and approximative swaption pricing, Risk Conference 2002, April 23 - 24, 2002, Paris, France, April 23, 2002. J.G.M. Schoenmakers, Calibration of LIBOR models to caps and swaptions: A way around intrinsic instabilities via parsimonious structures and a collateral market criterion, Johann Wolfgang Goethe-Universität, MathFinance Institute, Frankfurt am Main, November 7, 2002. J.G.M. Schoenmakers, Calibration of LIBOR models to caps and swaptions: A way around intrinsic instabilities via parsimonious structures and a collateral market criterion, Quantitative Finance 2002, Risk Waters Group, London, UK, November 26, 2002. J.G.M. Schoenmakers, Endogenous interest rates in asset markets, 2nd World Congress of the Bachelier Finance Society, June 12 - 15, 2002, Crete, Greece, June 14, 2002. J.G.M. Schoenmakers, Kalibrierung im LIBOR Modell, Reuters AG, Düsseldorf, March 11, 2002. J.G.M. Schoenmakers, Correlation structure in LIBOR market models, calibration to caps and swaptions, Technical University of Delft, Netherlands, May 8, 2001. J.G.M. Schoenmakers, Term structure dynamics endogenously induced by multi-asset markets, Conference Risk 2001 Europe, April 10 - 11, 2001, Paris, France, April 10, 2001. J.G.M. Schoenmakers, HJM term structure dynamics from a multi asset market; finite factor models, Hamburger Stochastik-Tage 2000, March 21 - 24, 2000, Universität Hamburg, March 21, 2000. J.G.M. Schoenmakers, HJM term structure dynamics from a multi asset market; finite factor models, WIAS-Kolloquium, Berlin, May 15, 2000. J.G.M. Schoenmakers, Stable calibration of multi-factor LIBOR market models via a semi-parametric correlation structure, "`ICBI 2000 Conference"', December 6 - 7, 2000, Genf, Switzerland, December 7, 2000. J.G.M. Schoenmakers, Stable implied calibration of multi-factor LIBOR models by semi-parametric correlation structure, Risk Conference Math Week 2000, November 13 - 17, 2000, New York, USA, November 15, 2000. P. Friz, S. Gerhold, A. Gulisashvili, S. Sturm, On refined volatility smile expansion in the Heston model, Preprint no. arXiv:1001.3003, Cornell University Library, arXiv.org, 2010.